Readers come in all shapes and sizes, with ALL kinds of different likes and preferences. For kids who connect more with pictures than words, graphic novels can be a great tool to encourage a love of books and stories. Biographies can be a harder sub-genre to find within the graphic novel world, but I went on a hunt at my local library to see what I could uncover. I found a few I want to share, and was even able to cajole a few of my kids into reading along. Although, they are all inclined to pick up a graphic novel that is lying around our house without any pushing from me. My boys especially really love them. Below is what I found. If you have any recommendations to add, I'd love to hear them in the comments! From Amazon: Newberry Honor author Shannon Hale and New York Times bestselling illustrator LeUyen Pham join forces in this graphic memoir about how hard it is to find your real friends—and why it's worth the journey. Shannon and Adrienne have been best friends ever since they were little. But one day, Adrienne starts hanging out with Jen, the most popular girl in class and the leader of a circle of friends called The Group. Everyone in The Group wants to be Jen's #1, and some girls would do anything to stay on top . . . even if it means bullying others. Now every day is like a roller coaster for Shannon. Will she and Adrienne stay friends? Can she stand up for herself? And is she in The Group—or out? As an adult looking back, this story was so relatable. For kids in the midst of it, I hope this story will remind them they are not alone. Fitting in, dealing with mean girls and cliques is something everyone deals with on some level. 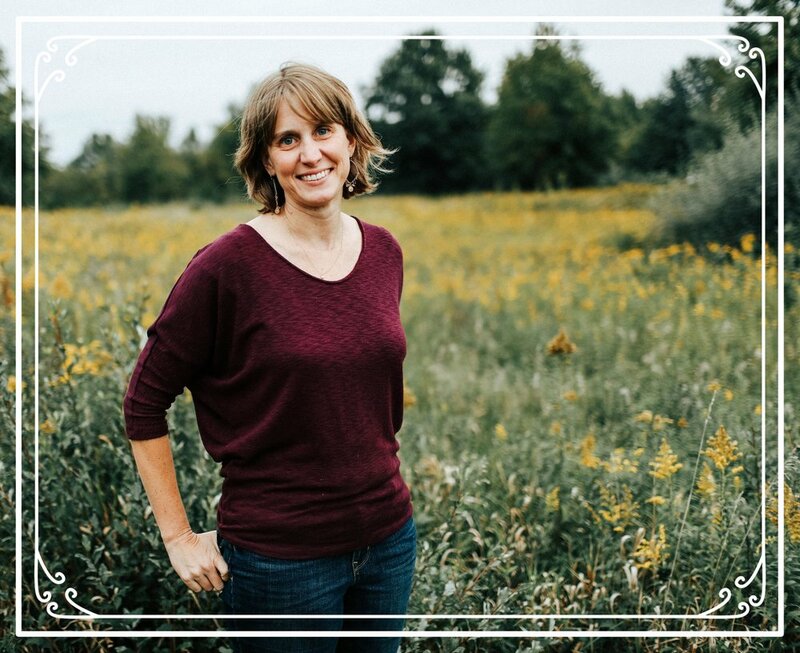 Real Friends shares the author's struggles with these issues in a very real and relatable way. There is one part in the book where Shannon’s friend is kissed by a boy as they are walking home. Shannon speaks out for her friend and yells at the boy to “leave her alone!” At first her friend is mad. “I wanted him to kiss me,” she says as she stalks off. To which Shannon replies, “Really? But if he wanted to kiss you, he should’ve asked first.” This message to stand up for yourself is so important for our girls, and boys, to read. I think this would be an excellent book to read along side your child and discuss with them after. 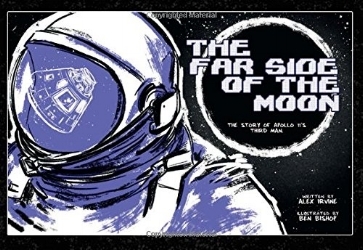 From Amazon: This graphic retelling of the Apollo 11 moon-landing mission follows astronaut Michael Collins, commander of the lunar orbiter, to the far side of the moon. When the Earth disappears behind the moon, Collins loses contact with his fellow astronauts on the moon’s surface, with mission control at NASA, and with the entire human race, becoming more alone than any human being has ever been before. In total isolation for 21 hours, Collins awaits word that Neil Armstrong and Buzz Aldrin have managed to launch their moon lander successfully to return to the orbiter—a feat never accomplished before and rendered more problematic by the fuel burn of their difficult landing. In this singularly lonely and dramatic setting, Collins reviews the politics, science, and engineering that propelled the Apollo 11 mission across 239,000 miles of space to the moon. This little book is filled with bits of wisdom and pieces of history I did not know as it tells the story of Michael Collins, the one member of Apollo 11 who did NOT get to walk on the moon. My 12-year-old read this as well and really liked it, although he wished there were more colors used in the illustrations. I kind of agree, but colors aside, this graphic novel version of Michael Collin’s life is well worth the read. From Amazon: As the nineteenth century wound down, a public inspired by the novel Around the World in Eighty Days clamored for intrepid adventure. The challenge of circumnavigating the globe as no one ever had before—a feat assuring fame if not fortune—attracted the fearless in droves. Three hardy spirits stayed the course: In 1884, former miner Thomas Stevens made the journey on a bicycle, the kind with a big front wheel. In 1889, pioneer reporter Nellie Bly embarked on a global race against time that assumed the heights of spectacle, ushering in the age of the American celebrity. And in 1895, retired sea captain Joshua Slocum quietly set sail on a thirty-six-foot sloop, braving pirates and treacherous seas to become the first person to sail around the world alone. With cinematic pacing and deft, expressive art, acclaimed graphic novelist Matt Phelan weaves a trio of epic journeys into a single bold tale of three visionaries who set their sights on nothing short of the world. This is the story of three explorers and their dream to circle the world, each in their own unique way. I especially loved Thomas Stevens and Nellie Bly’s stories in this beautifully illustrated graphic novel. It's a winner for sure. From Amazon: Amelia Earhart developed a love of flying at a very young age. As she followed her dream and built a name in the field of aviation—breaking numerous records along the way—she inspired other women to soar to new heights. With an introduction by astronaut pioneer Eileen Collins, Amelia Earhart: This Broad Ocean focuses on Amelia's triumphant crossing of the Atlantic Ocean in 1928. Panel by panel, it offers a glimpse of her relentless ambition and tireless will to promote women's rights. Above all, it leaves us with a sense of her deep-rooted desire to touch the sky. This book is part of a series of books, each with the label “Center for Cartoon Studies Presents," and includes biographies of people like Annie Sullivan, Satchel Paige and Houdini told in the graphic novel format. Each book focuses on a small piece of their subject’s life that gives readers a good feel for who that person was and what they accomplished. Often told through an outside perspective (i.e. a young female reporter in Amelia Earhart), these novels are quick reads that may spark your child’s interest in the people whose lives and accomplishments they share. Have you discovered any biographies told in the graphic novel format? I'd love to hear your recommendations! Older PostA Book is NEVER too Young, When You are Reading for Fun! Welcome! My name is Megan and I am a life-long and avid reader. I love discovering new books, especially of the middle-grade variety.